Bible stories provide cheap material for epic movies and come with an in-built audience. Or so says the Wall Street Journal. It’s why Biblical epic movies are making a comeback, with Viacom ‘s Paramount Pictures set to release ‘Noah’ in 2014, starring Russell Crowe as Noah, Anthony Hopkins as Methuselah and directed by Darren Aronofsky (of ‘Black Swan’ fame). 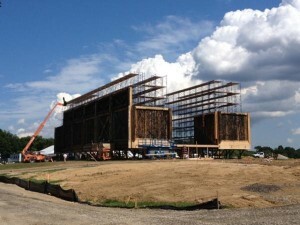 A photo of the life-size Noah’s Ark being built for the new epic Noah movie. Shared on director @darrenaronofsky’s Twitter in July this year. “Part of the appeal is, first of all, the material is in the public domain so their movie studios don’t have to license characters or stories as they might if they were going to do a blockbuster based on, say a comic book character,” Orden says in a recorded interview for the WSJ last week. “Another factor is that these are stories that are well known worldwide, so you don’t have to introduce the material to an audience; they already have some familiarity with them. The new Noah film has been in the works for years. In an interview from 2007, director Aronofsky told The Guardian he saw the character of Noah as racked with guilt. Other Biblical epics have been rumoured for several months, including a Stephen Spielberg film on Moses – tentatively titled ‘Gods and Kings’. According to The Australian earlier this year, Tom Hanks and Liam Neeson have been connected to the proposed film. 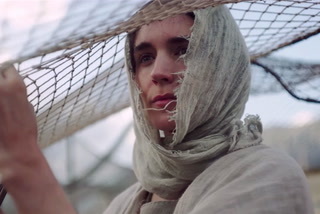 A remake of the book of Exodus is also on the cards for director Ridley Scott. Rumours of a prequel to Mel Gibson’s Passion of the Christ are also circling. Called Mary Mother of Christ, movie-watcher site The Wrap reports Sir Ben Kingsley is slated to play Herod in the new Liongate film, while The Guardian reports UK acting icon Peter O’Toole may come out of retirement to play Simeon. Televangelist and senior pastor of Lakewood in Houston, Texas, Joel Osteen, will be executive producer for the project and Australian Alister Grierson (from ‘Sanctum’) is tipped for the director’s chair. 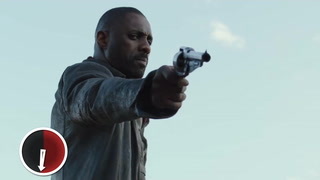 It has also been reported that Warner Bros. Pictures have acquired the script for “Pontius Pilate”, and Sony Pictures is developing “The Redemption of Cain” (loosely based on the story of Cain and Abel), with Will Smith as a possible director.